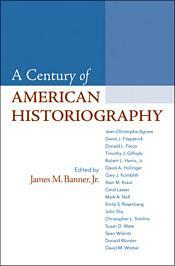 Macmillan Higher Education: A Century of American Historiography First Edition by James M. Banner, Jr.
Editor James M. Banner, Jr. has compiled a collection of 15 historiographical essays by respected scholars to provide an up-to-date overview of major topics in American History. Each essay offers a concise and insightful assessment of a central field such as religious history, women’s history, cultural history, military history, and the history of ethnicity and migration. Contributors include Sean Wilentz, Emily Rosenberg, Donald Worster, and David Hollinger, among others.